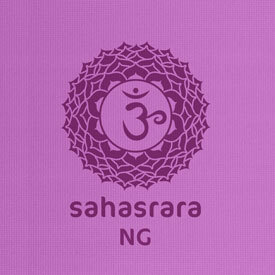 Chakra is a Sanskrit word that means ''wheel''. The Chakras are spinning vortexes of energy, similar to wheels, and are the centers of force through which we receive, transmit, and process life energies. Each Chakra is recognized as a focal point of life-force relating to physical, emotional, mental, and spiritual energies. 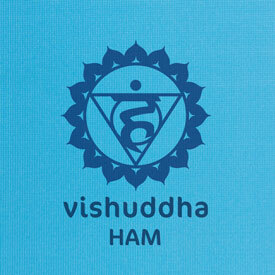 The Chakras are the network through which body, mind, and spirit interact as one holistic system. The seven major Chakras correspond to specific aspects of our consciousness, and have their own individual characteristics and functions. Each is considered a nexus of prana, or life force, in the body. Each Chakra vibrates to a different frequency that can be opened through your yoga practice, as well as by chanting the sound of 'OM'. When you connect with this vibration, you feel connected to the oneness of the Universe. 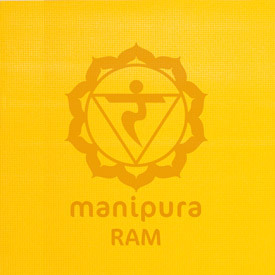 Everyone has their own experience on the mat, and that is why we have created Chakra Yoga Mats, as unique and beautiful as you are. 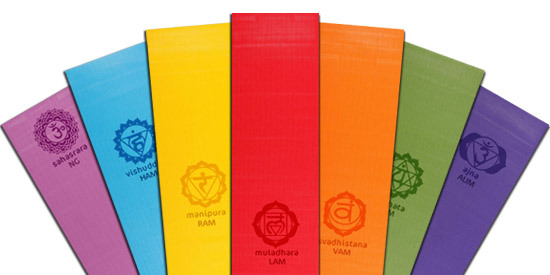 Uplift your spirits with these original yoga mats -- available only from Yoga Direct.com!